This is one of my favorite times of the year -- a time for slowing down and thanking God for the blessings He has bestowed on each of us, a time when families get together to share their cares, concerns and blessings, a time to laugh and enjoy being a family. 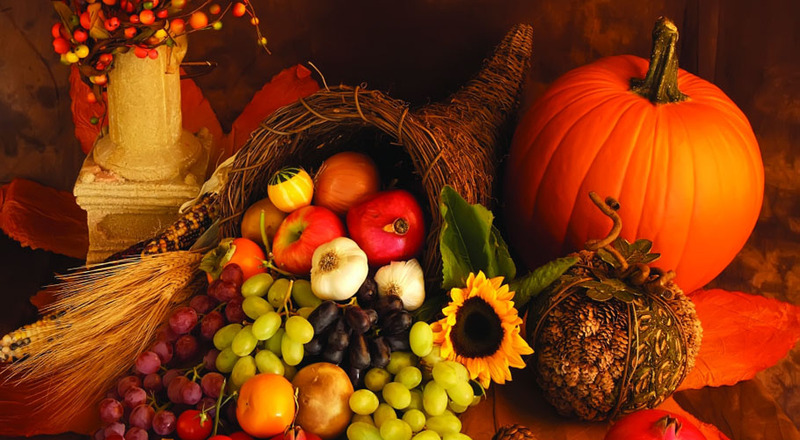 It is healthy to look at how God has been blessing our individual churches and to look forward to the special services given in our congregations during the Thanksgiving season. As a conference, we can slow down and take stock of the blessings that God is showering on our faith community. Across the conference, we have been blessed to see an increase in our tithe. We have also been blessed to see 183 more baptisms through the first three quarters of this year compared with last year. Let's thank God for His presence, His love and His care for each of us. And, may I thank each of you for your faithfulness to God this year. The next edition of NewsNuggets is scheduled for December 4. Enjoy your holiday! Vista Adventist Fellowship: "In Six Years, We Are Nearly 100 » It took just a few short years for the Vista Adventist Fellowship in Longmont, Colorado, to report a significant milestone in its church life. The congregation, which started around 2009 with fewer than 30 members, now has 99. But there is even more for which to praise God. 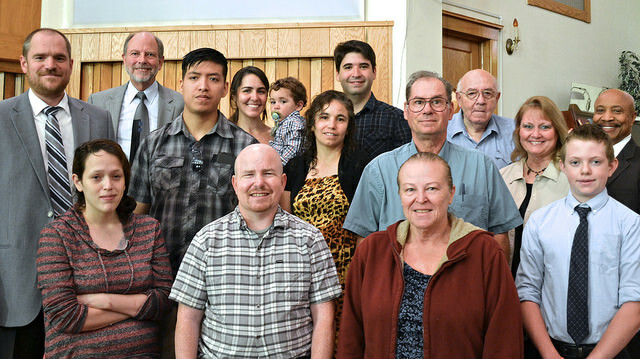 In the last 12 months, the church has had 28 baptisms, 8 from the Spanish-speaking congregation which they recently started, also in Longmont. "We see the Lord doing great things. We have several small groups that are growing and our church attendance is also growing," reports Blake Jones, church pastor. "The fruit that we are seeing at Vista is a testament that God is still able to work through His people in powerful ways when they take the Great Commission and put all their energies in to it," Blake comments, and says that an average attendance at the English-speaking church is about 75. The Spanish group has an average of 35 believers attending weekly. "Our attendance at both churches exceeds our membership," the pastor says. Presently, there are three Adventist congregations in Longmont, a city of nearly 90,000 people. 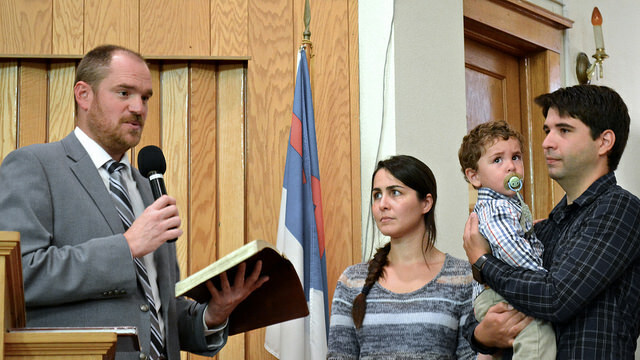 Six years ago, there was only one Seventh-day Adventist Church in Longmont. Then came Vista Fellowship and now the Spanish church is starting. The Vista congregation rents its church facility from the First Baptist Church of Longmont. "We have a good relationship with the Baptist church. Once a year, in the summer, we have 'church in the park' with our Baptist brothers and sisters and on a Sunday morning, we gather with them at Roosevelt Park in downtown Longmont, along with one other congregation, and have church together," Blake explains. "It is three churches that gather together and each pastors takes a turn. So, I preach there every third year and it is always well received," he adds. Church members express their appreciation for being a part of the growing congregation. One new members stated that "This church really is a family." Another said, "I am so glad I found this church. Coming here has changed my life." 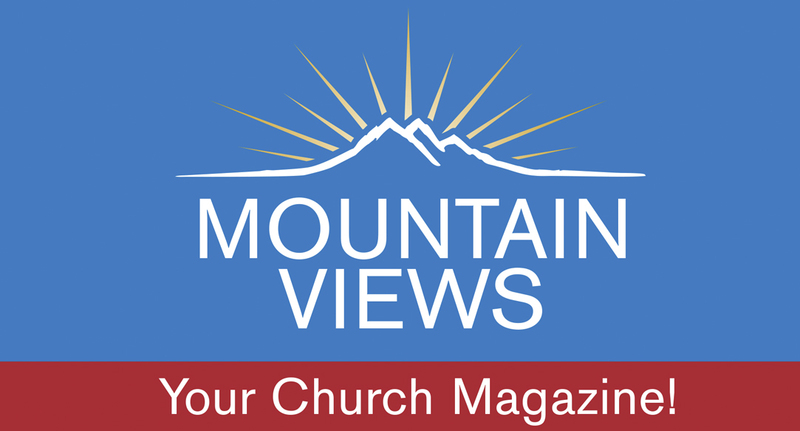 Pastor Jones, who also ministers at the Twin Peaks Seventh-day Adventist Church in Louisville, credits public evangelism for Vista's church growth. "That is the main baseline ministry outreach that all the other ministries are organized around," he states. Vista's evangelistic efforts include two public outreach meetings per year, several small groups that focus on teaching the Adventist message to new people, and many personal Bible studies. One member usually has more than ten Bible studies going with interested individuals at any given time. The head elder has a Bible study in his home that often has two dozen or more people in attendance, many of whom are from the community at large. When asked about their church and its growing potential, Allan Christensen said, "This past several months, we have been focusing more on prayer in our church and we have seen the fruits of this." "I've been to a number of churches where you are a number. It's not like that here. You come here and you feel like family," commented James D'Annunzio who is a new church member at Vista. "At Vista, people really care. If you are having a problem, you know your church family is there for you," Louise Kawa, also a new church member, lists as a contributing factor to nurture and church growth. Students Honor Veterans on Their Day » Thirty-one veterans and their spouses were honored on November 11 by the Grand Junction Seventh-day Adventist Church and Intermountain Adventist Academy. 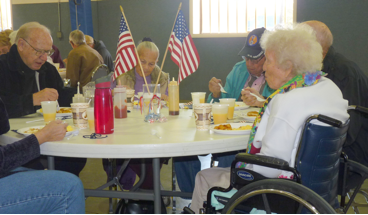 Enthusiastic students served the volunteer-prepared breakfast to the veterans at their flag-adorned tables, calling it the "Breakfast of Champions". Principal Casey Prindle welcomed the guests and then students from the academy shared a time of praise and worship to open the program. 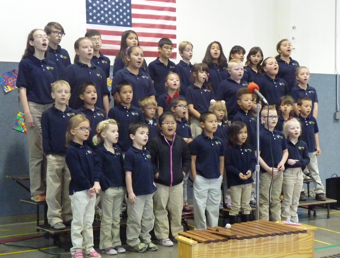 Kindergarten students presented a poem, Grades 1-3 presented a skit, and Grades 4-8 sang patriotic songs, all to honor the veterans. Pastor Mike Shannon chose II Timothy 4:7 for his message, "I have fought the good fight, I have finished the race, I have kept the faith," recalling the Apostle Paul looking forward to receiving a crown of righteousness reserved for all who have fought a good fight and love His appearing. Each veteran was recognized by name and presented with a colorful, hand-crafted book marker and thank-you note by the students. Veteran David Bryan, along with each of the veterans in attendance, showed their appreciation by writing thank you notes signed by each of the veterans, to the children and adults who helped with the morning breakfast and presentation. 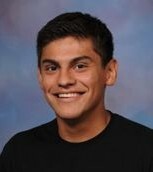 Campion Community Mourns "Little" Moses » The Campion Academy community is heartbroken over the loss of "Little" Moses Arevalo who died in a car accident November 10 at the age of 19. We are continuously reminded that we live in a sinful world, but perhaps never so acutely and painfully as when a young person dies. We offer our sincere condolences and prayers to Moses' friends and family. A memorial service was held November 15 at Union College where he was planning to resume studies as a theology student next school year. A Campion graduate from the class of 2014, Moses is remembered for his outstanding soccer skills, his charitable work with the Men's Dorm Brotherhood, his constant smile and his big heart. Get Up and Help Someone » Anyone who has ever dropped a pebble in a pool of water knows that as the pebble displaces the water, it sends ever-widening ripples out from its epicenter. Those ripples continue to expand until they reach a far-away shore. Much like the ripple effect, the butterfly effect is a small change that can result in large differences in a later state. For instance, if the theory were correct, one flap of a butterfly’s wings would be enough to alter the course of the weather forever. Although the controversy has not yet been settled, the most recent evidence seems to favor the butterflies. Whether the theory is true or false, our actions can have far-reaching effects and might even influence the history of the world. Consider Ishmael and Isaac. Do we have the ability to have a positive effect on our world? How can we counteract the evil we see happening in Paris, Beirut, Bagdad and so many cities that the entire world writhes in pain? “Be nice” was my mother’s mantra to the six of her children. Two years younger, my sister was way ahead of me in the niceness department. Often, as we fought over something we both wanted, she would suddenly acquiesce. It puzzled me that she could let go of her own desires so easily. On June 18, 1947, on a Pan Am flight from Calcutta to New York, an engine stopped working. The Pan Am plane caught fire and the co-pilot believed everyone was going to die. Yet he walked the aisle assuring passengers they were going to be fine. Then, when the plane nosedived into the Syrian desert, the co-pilot, with ribs broken, ran back into the burning plane to find survivors. This co-pilot realized that the passengers were all helpless. In spite of the fact that he was also pitching downward into the night, he decided to do what he could to help. Our world, it seems, is pitching downward into the night. We can sit by and watch or we can do something to help. We can be overwhelmed by the enormity of need or we can reach out to someone. Live Happy! » We all want to be happy but many are not and don’t know what to do to experience the joy that is missing. About 50 percent [of our happiness] is genetic and only about 10 percent relates to our circumstances. You can’t do much about either of these. Speak positively to others and to yourself. Listen to uplifting music and conversation. Look at uplifting and positive things -- spend time in nature; add plants to the inside of your home and decrease clutter in your environment. Get moving. Go for a walk, especially when you are feeling down. Memorize truth and hope from Scripture. With all of these positive inputs to our happy center, we can rise above our genetics and our circumstances creating a healthy limbic system through these positive choices and start to “Live Happy”. NOW AVAILABLE ON THE WEB! Photos used in last week's NewsNuggets were not credited. The photo of the "Create Your Own Sci-fi Character Contest" winners was taken by Erwin Velbis. The photo of the student writing on a clear board at Mile High Academy was taken by Tyler Rettler. Eden Valley Church » You are invited to "The Christmas Tree", a special music and sing-a-long program by Morris Venden at 5 p.m. December 12, at Eden Valley Church, 9325 World Mission Drive, Loveland, CO 80538. Refreshments will follow the program. Mile High Academy » The 8th grade class of Mile High Academy is collecting pairs of shoes as a fundraiser for their class trip to Washington DC this year. You can help them and others by donating your new or used pairs of shoes. The shoes will be sent overseas where micro-businesses will be set up so that individuals can learn to make a living and support their families. Drop off your shoes at the designated collection bin at your church or at MHA. Laura E. Mason Christian Academy » Grades 1-8 at this Cheyenne, Wyoming, school are selling fruit boxes from Golden Harvest Fruit Sales, Inc. Get a full or half box of red grapefruit or navel oranges. Or get a box of half grapefruit and half oranges. Delivery will take place from 10 a.m. to 1 p.m. December 13. Call or text your order to Kate Kamarad at 307-287-3325, Sylvia Watson 307-640-2358, or call the school during lunch time at 307-638-2457 to order fruit from a student. 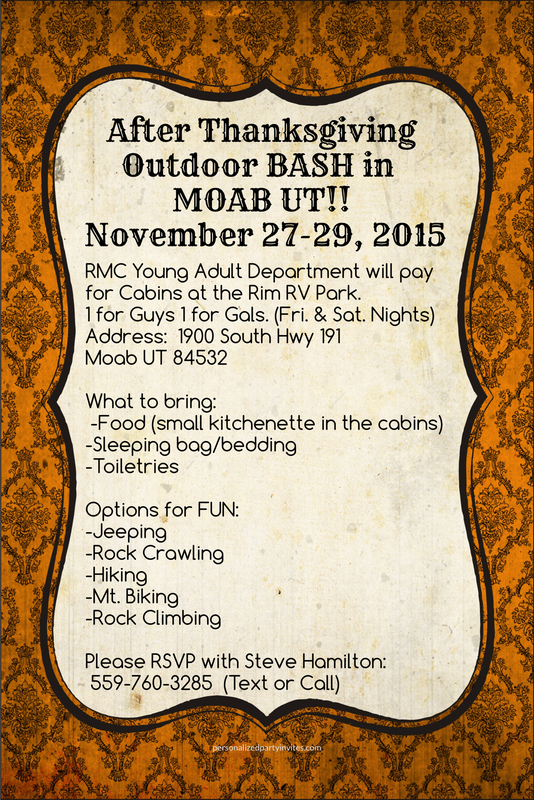 Order deadline is November 28. Eden Valley Institute of Wellness in Loveland, Colorado is looking for a marketing director to promote its Lifestyle Center, Eden Valley Country Store, "The Well" Education Program, and Eden Valley Farm and Gardens. If you are looking for an opportunity such as this, please contact us at www.eden-valley.org or call 970-667-1770. You may email your resume and references to [email protected] or fax to 970-663-7072 or mail them to Eden Valley Institute of Wellness, 9325 World Mission Drive, Loveland, CO 80538. 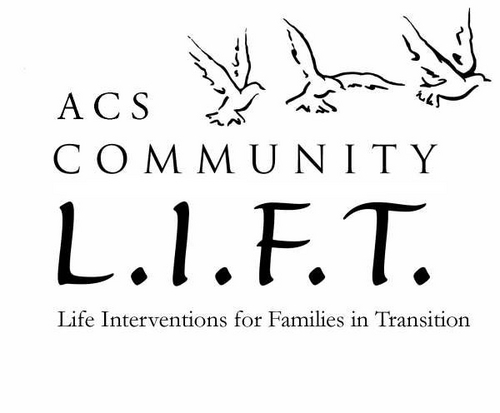 ACS Community LIFT is accepting applications for a part-time (32 hrs/wk, M-Th) Medical Assistant at its Denver location. Applicants must be certified as a Medical Assistant and have at least two years experience working in a medical clinic, hospital, doctor's office or other health care setting. For a complete job description and application, visit http://www.rmcsda.org/hr-medical-assistant. 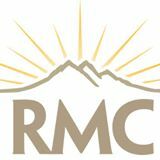 The Rocky Mountain Conference is currently accepting applications for a part-time (20 hours per week, M-Th) Assistant to help out in its Treasury Department. To learn more about this position and how to apply, please visit: http://www.rmcsda.org/hr-treasury-assistant. The Voice of Prophecy in Loveland, Colorado, is looking for a full-time departmental assistant, as well as a DISCOVER Bible School trainer. View the full job descriptions and apply at vop.com/jobs. December 8, 8:00 a.m. - 9:30 a.m.
December 8, 9:30 a.m. - 3:00 p.m.
December 15, 9:30 a.m. - 12:30 pm. December 16, 9:30 a.m. - 12:30 p.m.
-- about developments, issues, notable events, as well as experiences of church members. Please email your story to [email protected] so we can share how God is working through His people in your territory. When submitting your story, please include the following: the Ws (who, what, where, when, why..also how), a personal quote, a photo and the name of the photographer. 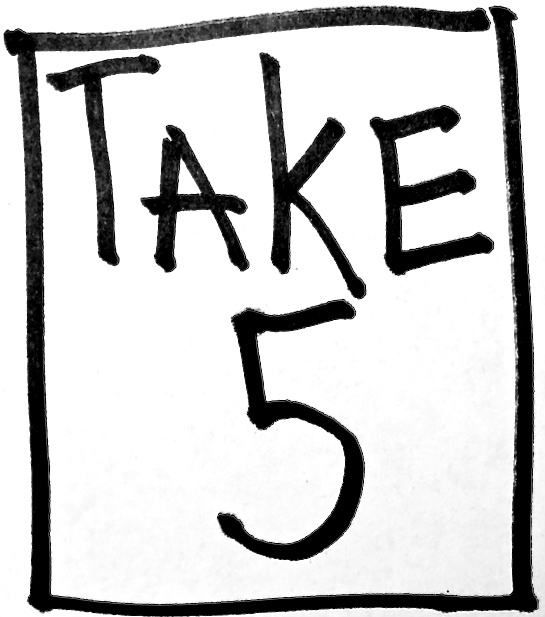 Please consider time constraints and always send in fresh new stories instead of outdated ones. Submission deadlines are Wednesdays by noon.